CHESTERTOWN, MD—Mezzo-soprano D’Anna Fortunato will close the 60th season of the Washington College Concert Series on Saturday, April 14, with a Gala Vocal Chamber Concert that will also feature flutist Peter H. Bloom and pianist Mary Jane Rupert. As a special treat, composer Elizabeth Vercoe will attend the concert to hear two of her works performed and chat with concertgoers afterward. The performance will take place at 8 p.m. in Hotchkiss Recital Hall, Gibson Center for the Arts, on the College campus, 300 Washington Avenue. Tickets at $15 ($5 for youth ages 18 and under) can be purchased at the door. Washington College students are admitted free with valid ID. There are no reserved seats. Elizabeth Vercoe has been described as one of the most inventive composers working in America today, and her work has been performed around the globe. Two of her compositions are on the April 14 program. First is “Kleemation,” five short movements inspired by line drawings by German artist Paul Klee. The second, “My Letter to the World,” is based on poems by Emily Dickinson. In addition to Vercoe’s music, the program will include arias from Handel and Rossini, Franz Schubert’s “The Shepherd on the Rock,” three songs by Amy Cheney Beach, Daniel Pinkham’s 1993 piece “Vowels,” and “Nga Whetu e Whitu,” a piece for flute and piano by New Zealand composer Gareth Farr. D’Anna Fortunato, a 2006 Grammy nominee in three categories, has been featured as a soloist with many of America’s best orchestras. She has worked with companies that include the New York City Opera, Glimmerglass, and Opera San Jose, made numerous appearances at international music festivals, and recorded 40 CDs. A Noah Greenberg Award winner, Peter H. Bloom has appeared on 30 recordings from such prestigious labels as Sony Classical, Dorian, Leo Records, and Newport Classic. He has given concerts everywhere from Boston to Bangkok and is both a distinguished classical artist and a noted jazz player. As a pianist and harpist, Mary Jane Rupert has performed solo recitals internationally, from Carnegie Hall to Beijing Concert Hall, and appeared with symphonies and chamber ensembles throughout the United States. She is a member of the music faculties of Tufts University and Boston College. 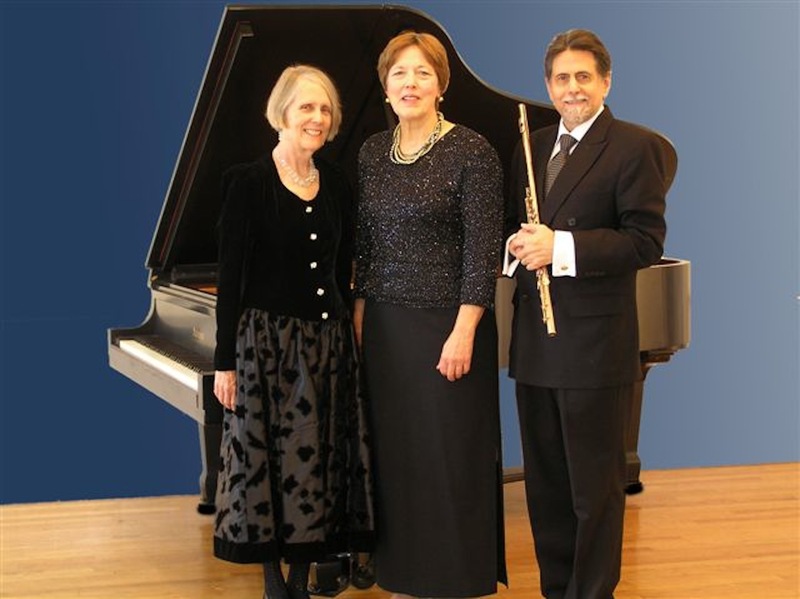 For more information, please call 410-778-7839 or e-mail concert series director Kate Bennett at kbennett2@washcoll.edu.